answerafrica.org is committed to protecting the privacy of visitors that use our Site. answerafrica.org is a supporter of enhanced protections for Internet privacy. In general, Answer Africa (and our partners) respect your contact information and treat it as private and confidential. answerafrica.org will not typically give, sell, rent, exchange or otherwise provide your information with anyone else without prior consent or full disclosure. We will notify users of updates to this policy by noting the date of new changes directly below this statement. Policy effective January 1, 2016. Answer Africa collects and retains information about you when you visit or give us information through our website at answerafrica.org. Any information provided to us is to help understand your needs and interests, to provide you with better service or to keep in contact with you via email. Any information you provide is kept in strict confidence and is not shared with anyone outside of Answer Africa and this policy applies to all information received by Answer Africa, both online and offline. answerafrica.org servers may record the IP address of the computer you are using; the browser software you use and your operating system; the date and time you access our site; and the Internet address of the Web site from which you linked directly to our site. This information may be used to measure the number of visitors to different sections of the site, to diagnose and correct system errors, and to improve the site. We do not connect this information to your name or identity, and we periodically delete this information from the server. Our site may contain links to other websites, including sites that we do not own or operate. Unless otherwise expressly stated, answerafrica.org is not responsible for the privacy practices or the content of such websites, including such sites’ use of any information collected when site visitors click through links to those sites. We encourage you to read the Privacy Policies of websites linked to from our site. Personally identifiable information is data that can identify an individual, such as a name or an email address. It refers to information that can be used to distinguish or trace an individual’s identity, either alone or when combined with other personal or identifying information that is linked or linkable to a specific individual. We collect this kind of information from you to facilitate transactions that require knowing who the individual is or simply to communicate with you. We have a contact form at answerafrica.org which does ask for your name and email address, both personally identifiable information. This form is provided for the convenience of our site users to reach out to us, ask questions or connect so that we may begin working together. Again, this information is kept in strict confidence and is not shared with anyone outside of Answer Africa. While Answer Africa might use third party vendors to communicate with you or for analytics reporting, your information, including your email address, will not be sold, shared or disclosed with any third party outside of Answer Africa. 1.1 The documents, graphics and images published at answerafrica.org could include inaccuracies or typographical errors. Additionally, we reserve the right to modify the information contained in this website without notice. To the extent permitted by the laws of the United States, information on this website is provided “as is” without warranty, either express or implied, including, but not limited to, the implied warranties of merchantability, fitness for a particular purpose, or non-infringement. 1.2 This site may contain links to other websites, which are completely independent of answerafrica.org. We make no representation or warranty as to the accuracy of content, completeness or authenticity of the information or opinions contained in any such linked website. 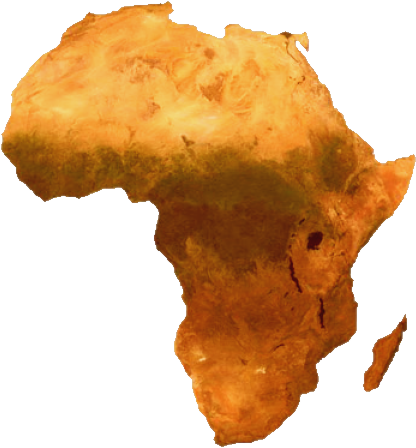 4.1 All right, title and interest (including all copyrights, trademarks and other intellectual property rights) in this website belong to Answer Africa In addition, the names, images and other indicia identifying our products and services are our proprietary marks. All copyrights, trademarks and other intellectual property rights referred to in this website belong to their respective owners. 6.1 You may provide links to answerafrica.org provided (a) you do not remove or obscure our copyright notice, or other notices on this website, (b) you will upon written notice, discontinue providing a link to answerafrica.org if instructed to do so by us. 7.1 These Terms and Conditions shall be governed by and construed in accordance with the laws of the State of California as they apply to agreements made and solely performed therein.